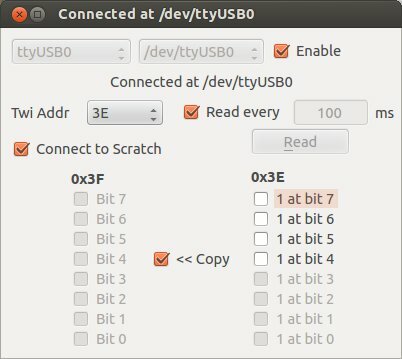 Simple Supervisory Control and Data Acquisition (SCADA) using Scratch and some open source hardware boards connected to a GNU/Linux Ubuntu computer using USB. 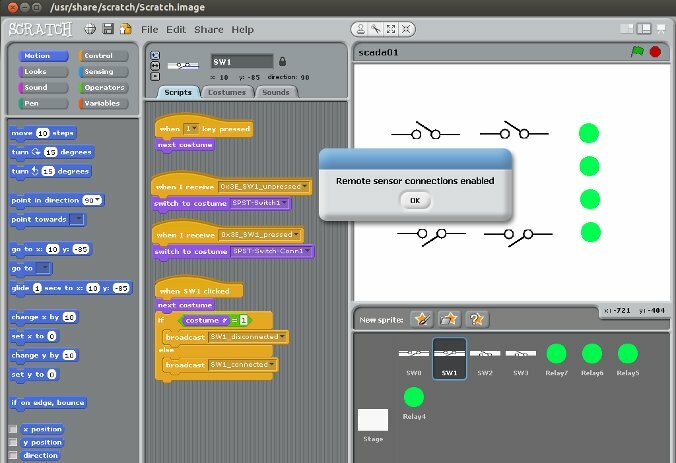 Scratch should have remote sensor connections enabled. Once Scratch is running (it is acting as a TCP server), interface software (acting as a TCP client) can connect it. 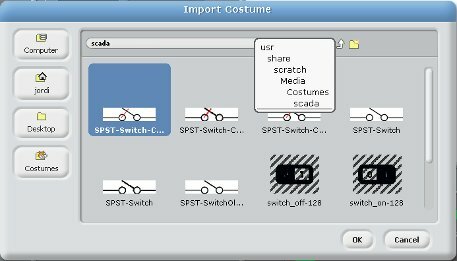 SCADA costumes compressed folder (Path : /usr/share/scratch/Media/Costumes/scada ).